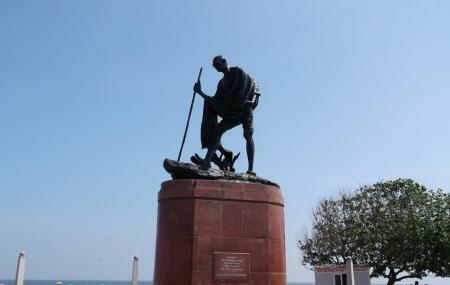 Another fabulous attraction of Chennai, to be clubbed with the Marin beach and the Light House, the Gandhi statue lies on the beach itself. Replicating Gandhi’s 'march to Dandi' stride, this statue is surreal. The statue was erected at this site owing to the beach’s recognition as one of the most visited recreational areas of the city. This all-stone statue exactly lies at the Kamarajar Salai, at the beach’s promenade. You can spot this statue as you explore the Marina bay area. Perfect to stroll around in the evenings. How popular is Gandhi Statue? People normally club together Madras War Cemetery and M G R Memorial while planning their visit to Gandhi Statue.